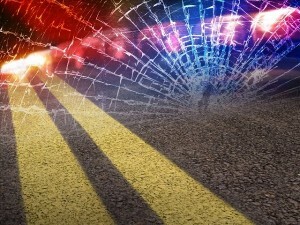 UPDATE: I-24 Eastbound & Westbound Lanes Blocked at 21mm in MARSHALL County at 4:00 a.m. The recovery crew on site has been hampered by heavy rainfall. At this hour they have only removed one of the SEMI trucks. One lane is open WESTBOUND. Both EASTBOUND lanes remained blocked at the crash site with traffic continuing to detour via Exit 16 to US 68 North to US 62 East to return to I-24 at Calvert City Exit 27. Estimated duration is extend another 4 hours. UPDATE: I-24 Eastbound & Westbound Lanes Blocked at 21mm in MARSHALL County at 2:15 a.m.
One WESTBOUND lane is now OPEN at this site. Both EASTBOUND lanes continue to be blocked. Heavy rainfall is hampering efforts to clear the roadway. Eastbound traffic continues to be detoured off at Exit 16. UPDATE: I-24 Eastbound Blocked by Multi-Vehicle Crash at 21mm in MARSHALL County at 1:50 a.m. Both the EASTBOUND and WESTBOUND lanes of I-24 are now blocked at the 21 mile marker. Several vehicles caught in traffic at the site of the eastbound crash tried to cross the median to turn around and are now stuck and blocking the westbound lanes. Duration continues to be 4 hours. Marshall County 911 Dispatch reports a multi-vehicle crash is blocking the EASTBOUND Lanes of I-24 at the 21 mile marker at 12:53 a.m. This crash involves 3 SEMI trucks and a passenger vehicle. Estimated duration is 4 hours. McCracken County is detouring traffic off at US 68 Paducah-Reidland Exit 16 to US 68 Northbound to US 62 Eastbound to return to I-24 at Calvert City Exit 27.